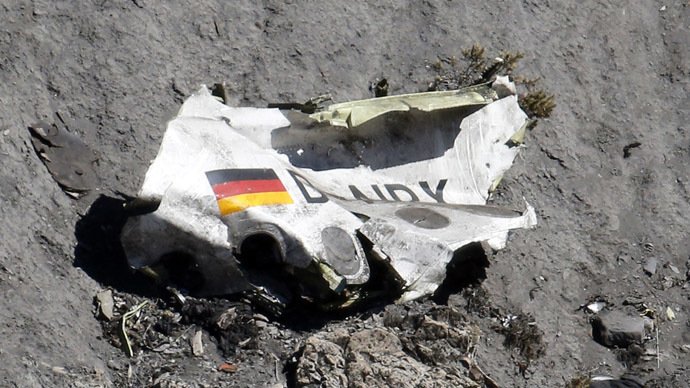 The Germanwings co-pilot who deliberately crashed a plane into the French Alps “rehearsed” the aircraft's descent during a previous flight, French investigators said Wednesday. The practice run took place just hours before his deadly plan unfolded. According to an interimreportreleased by France's air accident investigation body (BEA), co-pilot Andreas Lubitz appeared to practice a controlled descent during a Dusseldorf-Barcelona flight, just two hours before he crashed the same plane into a mountainside. While pilot Patrick Sondheimer was out of the cockpit, Lubitz set the aircraft to descent mode five times in a four-and-a-half minute period. The “selected altitude” changed repeatedly, hitting as low as 100 feet (30 meters) several times. BEA director Remi Jouty confirmed that Lubitz “rehearsed” the descent, but said he “can't speculate on what was happening inside his head; all I can say is that he changed this button to the minimum setting of 100 feet and he did it several times,” Reuters reported. Lufthansa spokesman Helmut Tolksdorf told AP that the airline has not yet had time to analyze the new details and has no plans for immediate comment. Lufthansa is the parent company of Germanwings. According to the report, Sondheimer left the cockpit at the beginning of the aircraft's cruise at 38,000 feet. While Lubitz was alone in the cockpit, the selected altitude changed from 38,000 feet to 100 feet. The plane then “started a continuous and controlled descent on autopilot,” according to the report. During the descent, the Marseille control center called the flight crew on 11 occasions, on three different frequencies. None of those calls were answered. The French military defense system also tried to contact the flight on three occasions, without any response. Four minutes and 40 seconds after Sondheimer left his station, the interphone sounded in the cockpit as he tried to re-enter. Three other calls also sounded. None of them received an answer. The sound of breathing was recorded on the Cockpit Voice Recorder (CVR) until a few seconds before the end of the flight. Warnings from the Ground Proximity Warning System (GPWS), Master Caution, and Master Warning sounded before the collision took place. The plane ultimately collided with the mountainside at 9:41:06, killing all 150 people on board. Earlier media reports said Lubitz received treatment for a "serious depressive episode" six years ago, while he was training to become a pilot. The 27-year-old had been written off sick by a doctor on the day of the crash. A torn-up note authorizing his medical absence from work was found by police inside his Düsseldorf apartment.